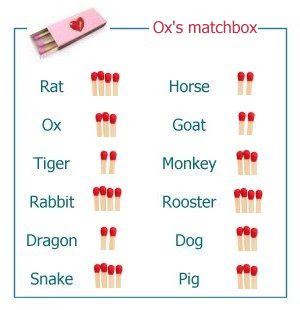 Ox is the second animal in the Chinese astrological cycle. Ox people are responsible, cautious, positive and very down-to-earth. They are in no way social animals. Parties are not for them. They can seem conservative, rigid, obstinate and are unlikely to accept new ideas. They are typical traditionalists. Innovation hardly exists in their dictionary. Hardworking and persistent, the Oxen can stick at a task longer than anyone else. They make highly conscientious workers and they work in a methodical and determined manner. They impress others as leaders. They tend to be bossy. However, sometimes they must labor long hours to accomplish little. They do well in careers which take years of training, e.g. engineers. Casual love affairs are definitely not the Ox's style. Although they may not show it, their emotions are deep and passionate. 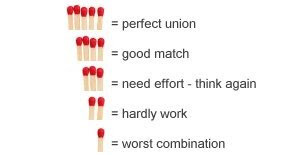 They make affectionate, steady, reliable and loyal partners but not romantic. They are family-oriented, very close to their family. What will the oxen do if they have 2 light bulbs? Thanks for visiting my blog. I guess I'm a metal ox.